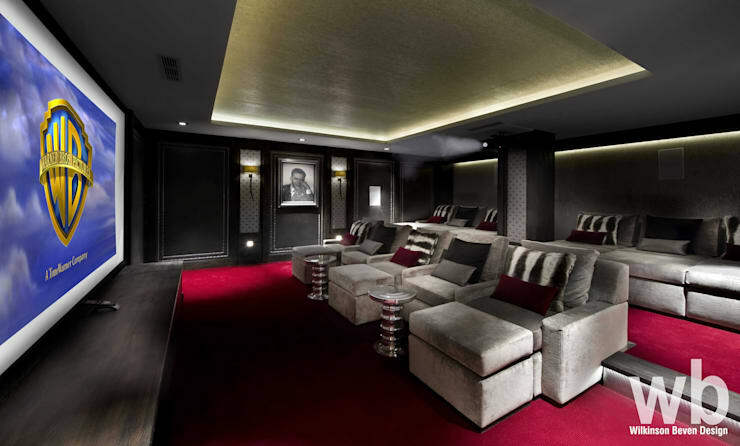 Basement interior design concept for a chalet home cinema, in the prestigious ski resort of Courchevel 1850, was partly inspired by the glamorous and classic 'Odeon' theatre style. 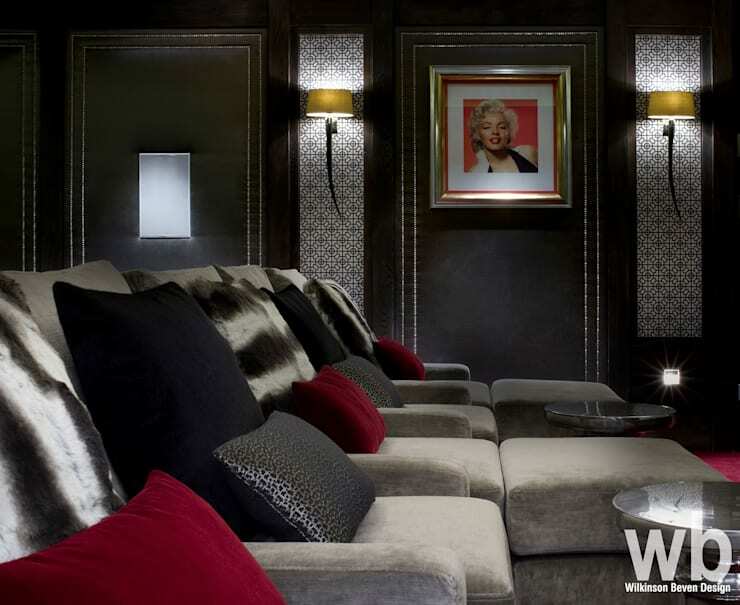 Luxurious bespoke furnishings set the tone for comfortable evenings where chalet guests can enjoy cutting-edge home entertainment! 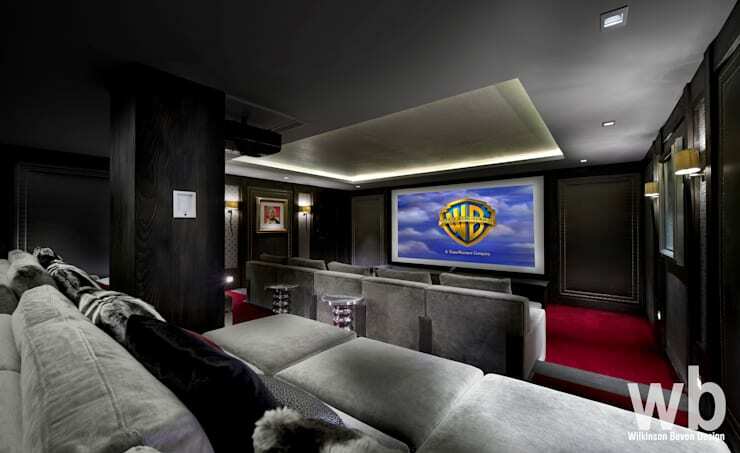 The latest audio visual technology provides film, music and streamed TV.